Winston Churchill once said, “Never give in. Never give in. Never, never, never, never – in nothing, great or small, large or petty – never give in, except to convictions of honor and good sense.” Quitting should not be an option except in rare circumstances. So, we should live lives of perseverance and teach our children to do the same. 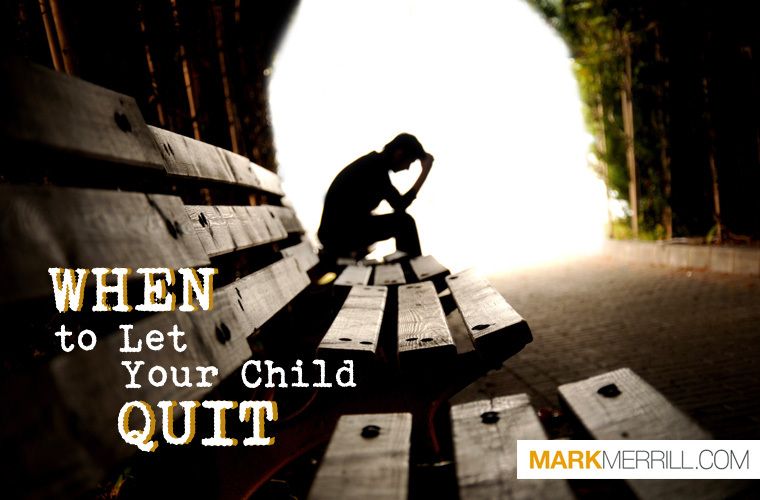 If your child is facing a situation where they are thinking about quitting, listen to today’s episode as my wife Susan and I talk through three things to consider before letting your child quit. Why should they stick it out? How to lay out their options for moving forward.